I don't know about you, but I'm seeing garage sale signs everywhere right now, which means spring cleaning is underway - along with Canada's annual rite of the spring treasure hunt. I've noticed the treasure hunters are out in force this year, reminding me of line-ups at Tim Hortons during the morning rush hour. They're coming out in droves along curbs, sidewalks and lawns - all in the hope of finding something special for cheap, cheap, cheap, to quote the red-breasted Robin. Maybe the bounty is an old record player - you know the one with the needle that drops - replete with a collection of Don Ho and Perry Como albums. Or maybe it's a kitschy pink set of "unbreakable" Melmac dishes from years gone by (actually, I broke one once as a kid). Then again, it could be a turquoise swan ashtray without a single chip in it. 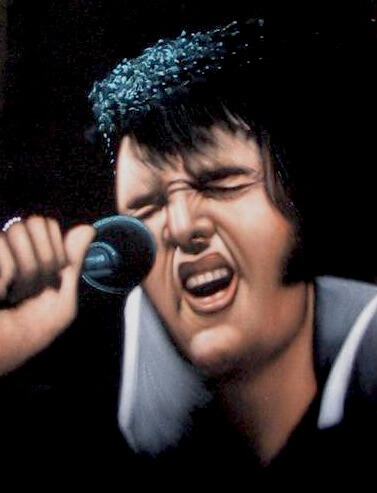 Oh, and let's not forget about that eye-catching velvet Elvis painting. My point is, never underestimate the acquisitiveness of the spring treasure hunter. What you deem to be a throwaway item could be considered a gem in the eyes of this adventurer. Right now, the hunt is on for all kinds of trinkets and baubles from dusty old corners. You may be surprised by how much coin some of these items bring you. 1. Start early. All the bargain hunters are out at the crack of dawn, and you want your goods curb side when they pass your way. 2. Price appropriately. People expect a deal; it is a garage sale after all. If items are too pricey, you may find yourself lugging all your stuff back into your garage or house at the end of the day. 3. Prepare to negotiate. If you are unsure about the value of an item, simply ask for best offers, then look for signs of how badly the hunter wants the treasure. Haggle a bit. It brings some fun to the whole process. 4. Create incentives. To lure people to your sale, set up signs and stands that offer free coffee or lemonade -- or both. The point is to stop people by making them feel welcome. Once you've got them, they're bound to browse. Plus, if you're a parent, the kids can man the stands and have some fun. 5. Be realistic. Don't expect to get rich from a garage sale. Ideally, it will put a little bit of extra cash in your pocket with the added benefit of getting some clutter out of your life. Above all, enjoy yourself during the garage sale. As any good salesperson will tell you, the spirit you bring to the sale rubs off on others. Or to put it another way, open hearts make for open wallets.